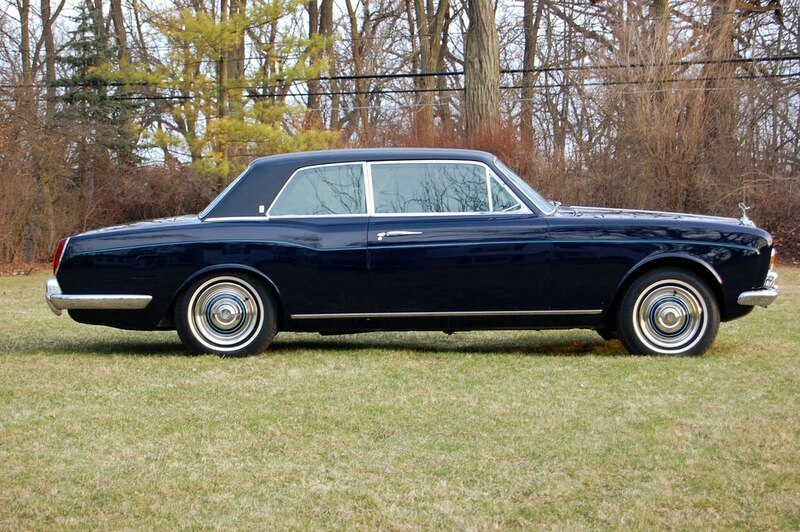 BENTLEY SPOTTING: The Thomas Crown Affair Copy - a tribute to John Blatchley. The Thomas Crown Affair Copy - a tribute to John Blatchley. 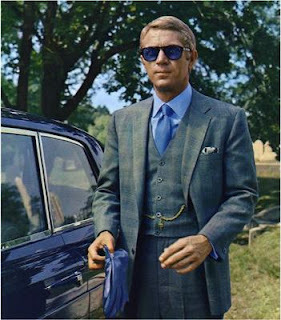 "Cool and sophisticated, Thomas Crown is quickly established in the plot as a man of discernment: a polo-playing Ferrari owner with his own glider and a taste for hand-made suits and hand-rolled cigars, so what else would he drive on formal occasions but a Rolls-Royce? Thomas Crown's however, was no 'ordinary' Rolls-Royce, but one of the even more exclusive, limited edition, two-door sedans specially built to individual customer order by the company's in-house coachbuilder, H J Mulliner, Park Ward Ltd. The car used for the movie (CRX2672) , features in a number of key scenes, including the 'money drops' at the film's beginning and ending, and when Thomas Crown drives in the rain accompanied by insurance investigator, Vicki Anderson (Faye Dunaway). " 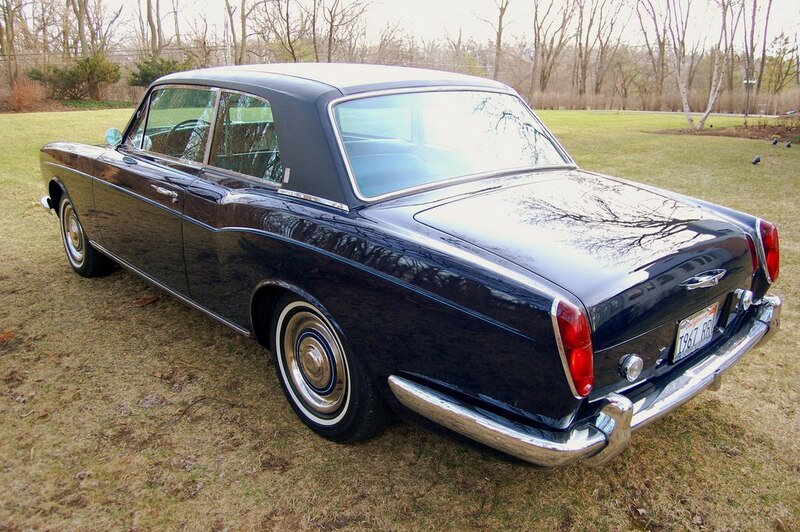 This car is another 1967 Silver Shadow two door saloon almost identical to the movie car - the interior is not tan. It was up for sale on Ebay in 2008, but worth looking at again, simply because it's beautiful. 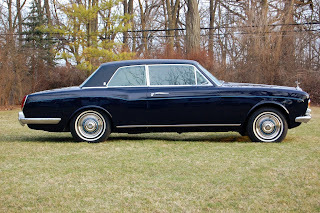 The two door Silver Shadows became the Corniche in late 1971 and the car continued to be built in convertible (or should I say 'Drophead Coupe') form right up until 1995. That was an almost thirty year run for that model, something that never will happen with today's modern car designs. "John Blatchley  shaper of the modern Rolls-Royce  was a 12-year-old pupil at boarding school in Chesterfield when rheumatic fever was diagnosed. "The doctors took it terribly seriously; I was more or less a total invalid for three years", he said, "so I missed out on a proper education." The teenage, bedridden years weren't entirely wasted, though. The sickly boy spent long afternoons sketching and building cardboard models of fantasy car designs. After imploring his father to let him become a real car designer, he had a stint at the Chelsea School of Engineering, followed by a place at the Regent Street Polytechnic, and then a job in 1935 with the leading London coachbuilder Gurney Nutting. Blatchley's task was to make the initial drawings of customers' bespoke car bodies, later to be translated into reality by Gurney Nutting's craftsmen. He proved so good at it that, within two years, he was design chief. "We rarely made two alike. It was a wonderful learning process. I would make a 1:16 scale drawing and the car would be completed in just six weeks." But by 1940, Gurney Nutting ceased bodying expensive automobiles and Blatchley  unable to fight in the Second World War because of a lingering heart murmur  was despatched to Rolls-Royce's Nottinghamshire factory, designing metal aero engine cowlings. The work, he recalled, was "intensely boring". 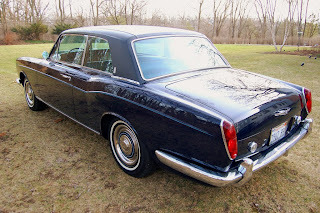 However, a post-war Rolls-Royce car was secretly being planned, the first ever offered complete with a factory-supplied "standard steel" body, which would sideline independent coachbuilders entirely. Blatchley was assigned as Rolls-Royce's first ever stylist. "They had a prototype but no one there had a clue about body design," he said. "My first job was to put a little finesse into it  it had no elegance at all. I had to make something that would be stamped out by the thousand look like a craftsman-made motor car. 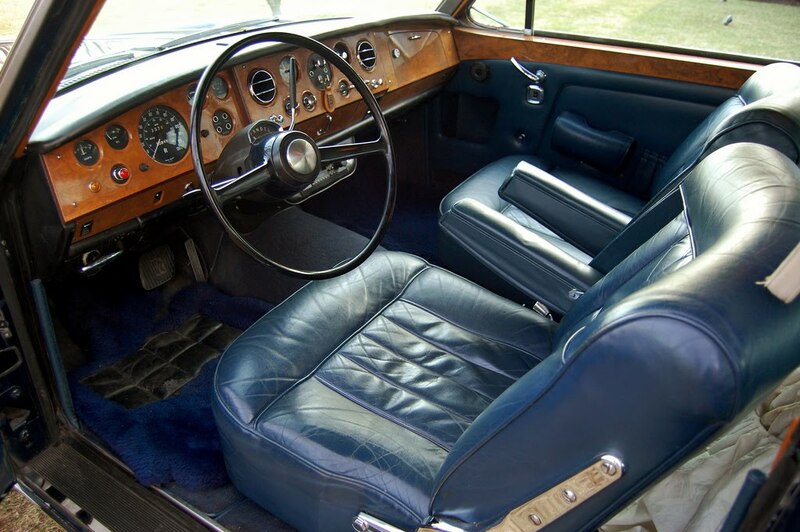 I also had to completely design the interior  seats, dashboard, everything." This became the 1946 Bentley MkVI which, with its near-identical Rolls sister, the Silver Dawn, laid the cornerstone for Rolls-Royce's post-war prosperity. 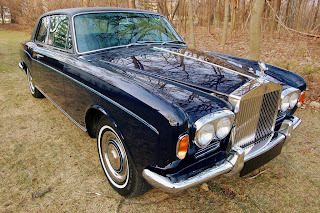 It was another nine years before the first Rolls entirely styled by John Blatchley was unveiled. But only after disapproval from Rolls-Royce's staunchly conservative management. "I spent years working on one full-size mock-up of 'the new car' only to be told when it was finished to put it on the bonfire," Blatchley remembered. "It was too 'modern'. So I was asked to do a quick sketch of something more traditional, which I did in about 10 minutes. It was taken into a board meeting and they decided to make it!" That's how the 1955 Silver Cloud came by its classic elegance. The specification demanded it be lower, narrower and shorter, with better visibility and luggage space, and a bigger petrol tank. My biggest challenge was getting all this paraphernalia, plus passengers, into a car that still looked all right. It was a horrible period and, frankly, with all the new regulations and safety stipulations, the job was getting too difficult for me. Previously, what I said about styling went. Now, everything had to go before endless committees. It was unbearable. So, aged 55 and fortunate enough to have private means to help me along, I took early retirement. They were shocked but I'd made up my mind, and never regretted it. Blatchley and his wife moved to Hastings in 1970, where he lived quietly and largely forgotten. But rising interest in his work during the 1990s eventually saw belated acclaim for his car-styling genius. When BMW resurrected Rolls-Royce in 2002, it decided to ask Blatchley his opinion on its controversial new Phantom. To the surprise of traditionalists, he approved. "BMW showed me their possible designs; there was literally only one I thought was any good, and it's the one they've built. I think they've done a marvellous job." John Polwhele Blatchley, car designer: born London 1 July 1913; designer, then chief designer, J. Gurney Nutting Ltd, 1936-40; draughtsman, Rolls-Royce Ltd 1940-43, stylist, car division 1943-55, chief styling engineer 1955-69; married 1939 Willow Sands (two sons); died Hastings, East Sussex 16 February 2008." Credit to motoring author Giles Chapman for the obituary from the Independent newspaper. And thanks to Rodd Sala for the pictures.